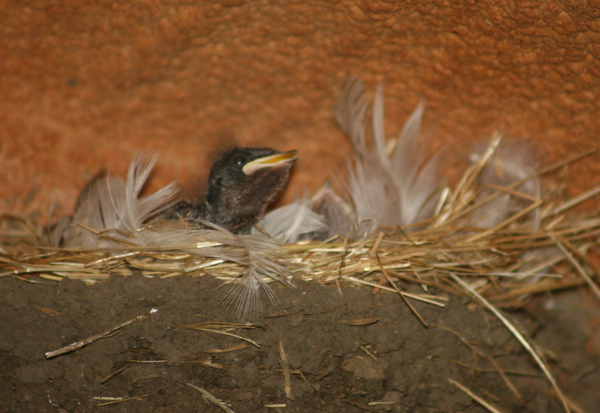 While we were putting this year’s hay in the barn, we found a little treasure. and look…there was an egg tucked away inside. 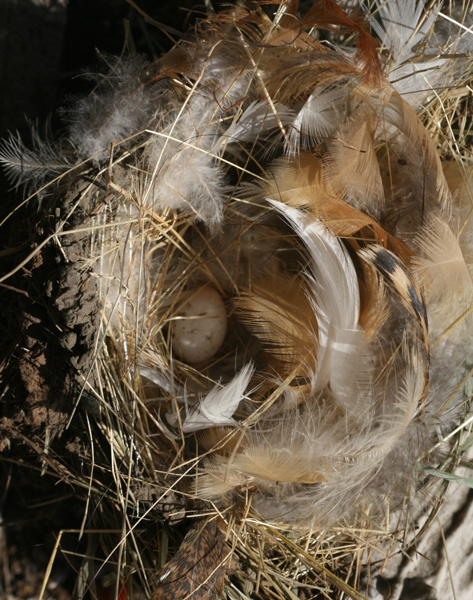 I love the variety of feathers in this nest. 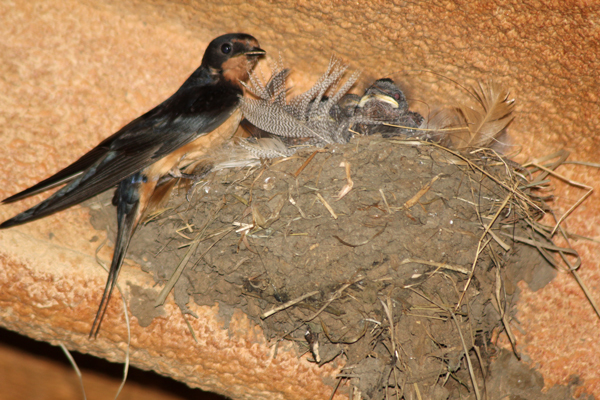 I hate removing the nests because I LOVE the swallows, but this one was going to be smashed by the hay and it was just too pretty. It seemed to be abandoned, so it was a little easier. 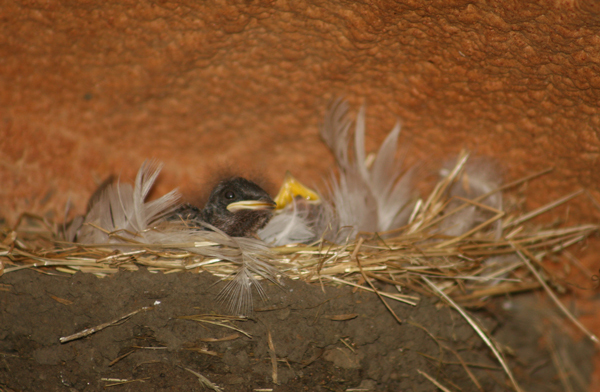 I know a lot of people think these birds are pests – but they are one of my favorites. 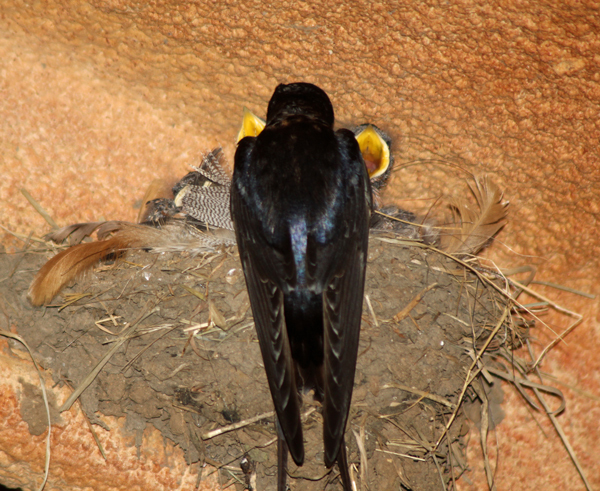 The parents stay busy feeding the babies lots of bugs! One of the reasons I like them so much. 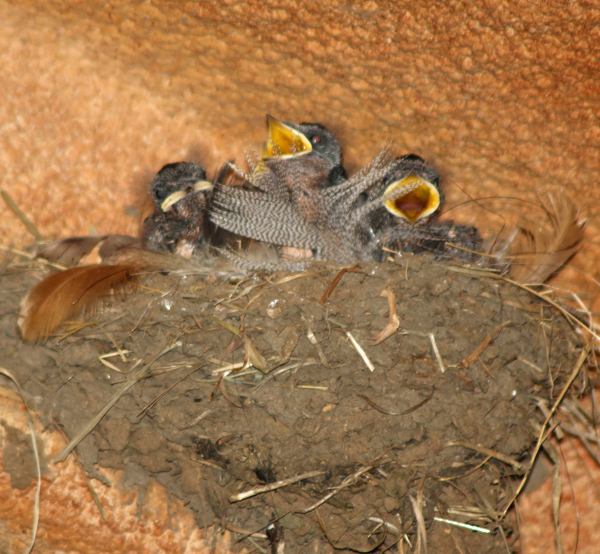 In addition to barn swallows, we also have a healthy population of tree swallows. 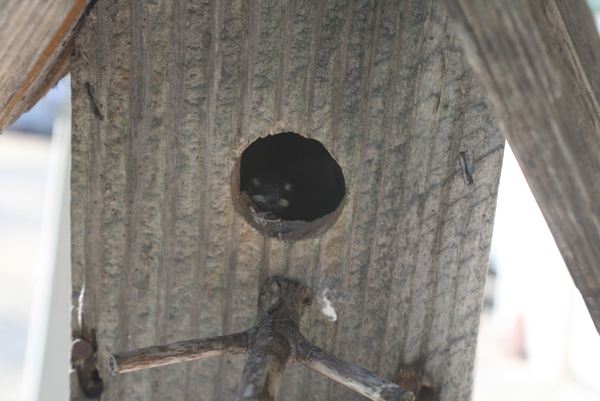 They build their nests in these bird houses on our front porch. Can you see the baby peeking out? 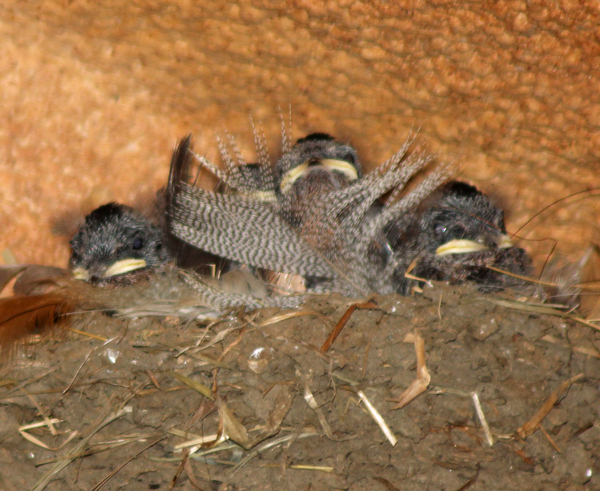 There are 3 in there and they are almost ready to fledge (fly away from the nest). 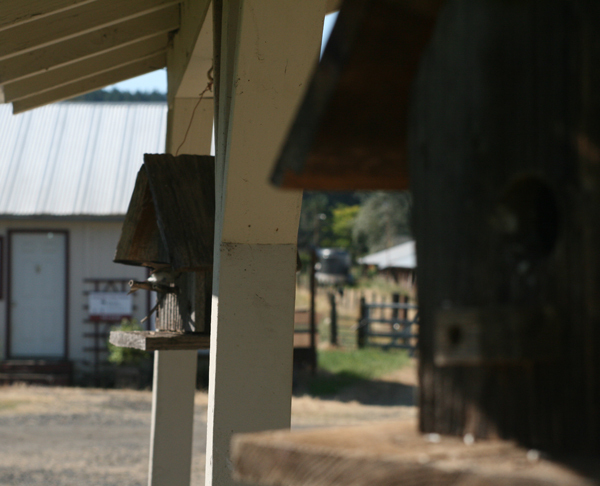 I feel very fortunate that our property has so many little treasures to share with us.